"Woven-Glass" is approaching the material glass in applying the traditional technique of weaving. Weaving normally requires a material that is flexible, like yarns which can bend easily. 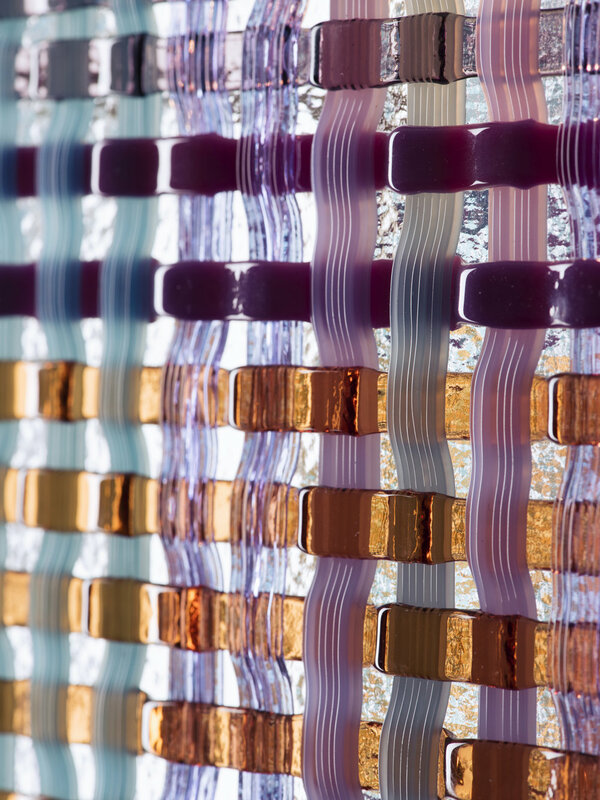 To reach the same effect colored glass stripes need to be pre-formed in the kiln to allow the process of interweaving different layers of glass. Transparent color gradients overlap and mix under the influence of light to form a textured glass surface.